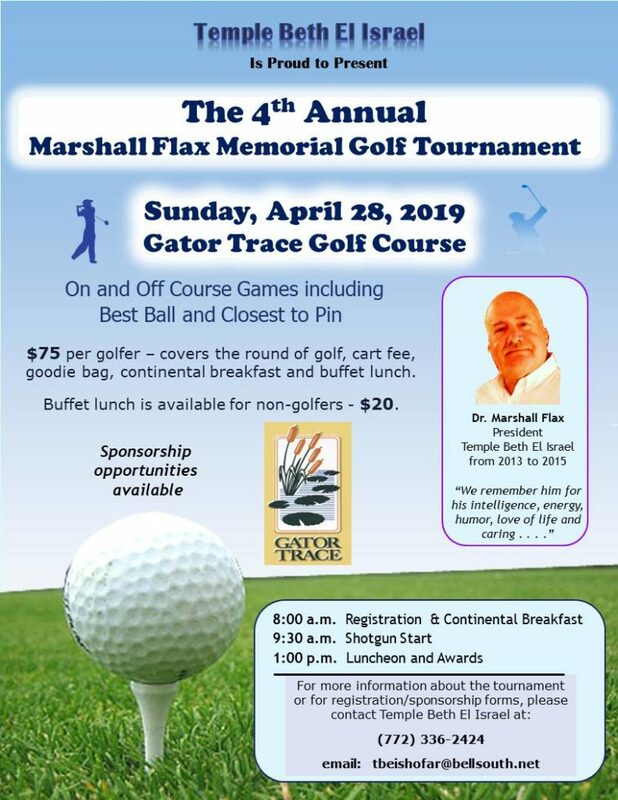 April 28, 2019 – The 4th Annual Marshall Flax Memorial Golf Tournament. 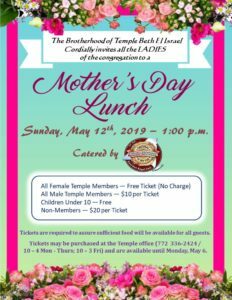 May 12, 2019 – Mother’s Day Lunch. Please read flyers for more information. Click for more information about The 4th Annual Marshall Flax Memorial Golf Tournament. Friday evening services begin at 7:30 p.m. unless otherwise noted. *Family Shabbat Service begins at 7:00 p.m. on May 10. *Yom HaShoah Service is Friday, May 3. *New Member Shabbat is Friday, May 17. *Friday Night Torah Service is third Friday of every month…May 17. Saturday morning Torah Study is from 9:00 to 9:45 a.m.
Saturday morning services begin at 10:00 a.m. Joining Temple Beth El Israel is one of the most worthwhile decisions you will make for your family’s spiritual values. 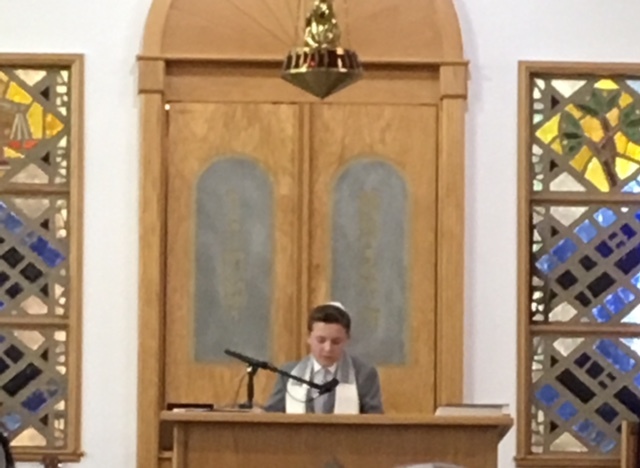 Temple Beth El Israel has an outstanding rabbi/cantor, a committed religious school, and an inclusive and welcoming congregation. The Temple offers a broad range of activities for members of all ages. Opportunities to connect with the community through involvement in committees and functions abound. Temple members are eligible to participate in all Temple-sponsored functions. Additionally, members are entitled to guaranteed seating at High Holiday worship, enrollment in religious school for the member’s children, support services for life cycle events, use of all TBEI facilities, and voting rights during regularly scheduled or special congregational meetings. 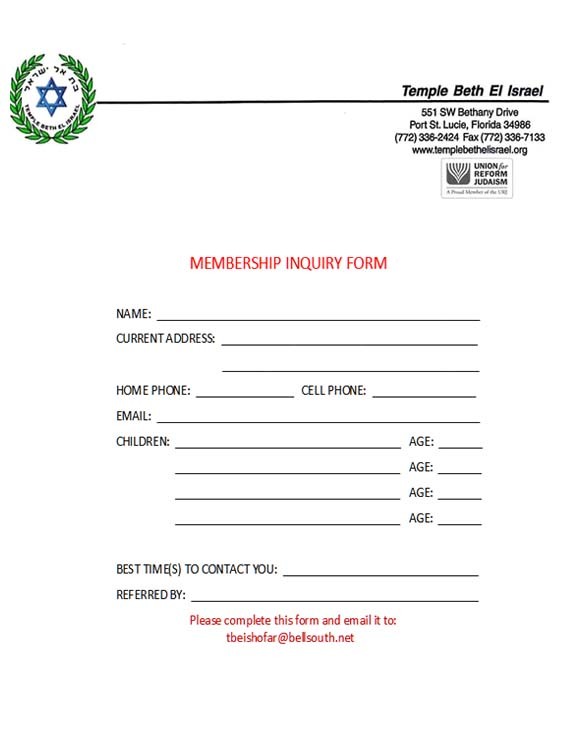 Family Membership is available to spouses/life partners where at least one person is Jewish. Membership in this category covers dependent children under the age of twenty-three. Individual Membership is available to a person of Jewish faith or a surviving spouse/life partner/divorcee of a Jewish spouse/life partner. Membership in this category covers dependent children under the age of twenty-three. Associate Membership is available to a family or an individual residing in the local area on a part-time basis who confirms membership in a Temple or Congregation at another residence. Affiliate Membership is available to spouses/life partners or an individual residing in an assisted living facility or a nursing home. Also, accommodations may be based on individual and/or family circumstances. No one is turned away. The process is confidential. Contact the Financial Secretary or Treasurer for more information. Membership details, including the current TBEI dues structure, are available through the Membership Committee. For additional information, contact the Temple office (772-336-2424) or complete this inquiry form. Sisterhood of Temple Beth El Israel is a dynamic organization representing women at all stages of life. The group is united in its commitment and support of the congregation. The Sisterhood focuses on providing interesting and contemporary programs at monthly meetings and encourages lifelong learning efforts. The Sisterhood Judaica Shop, Ida Rubin Book of Life, and the “fun” raisers help provide a substantial monetary gift to the temple each year. Sisterhood meetings are the second Tuesday each month at 12:30 p.m. with educational, informational, and fun programs. Bring your own lunch, and Sisterhood will provide dessert. The Book Club meets the first Tuesday of the month at 12:00 noon in the library. For further information please contact Ruth Siegel, President of TBEI Sisterhood, at 772.785.7274. The Brotherhood functions as a support group for Temple Beth El Israel. Members share a common goal of assisting the Temple to grow and develop into a focal point for the Jewish community of St. Lucie County. funding scholarships for confirmation students. The Brotherhood Board of Directors meets the first Wednesday of each month at 7:30 p.m. in the Temple Library. All Brotherhood members are invited to attend the Board meetings. Membership meetings are conducted the third Tuesday of each month, traditionally from September through May. A light lunch will be provided at general meetings, and a guest speaker of an interesting and current topic usually addresses the membership. Specific programs are announced in the Shofar and are publicized by e-mail to all Brotherhood members. 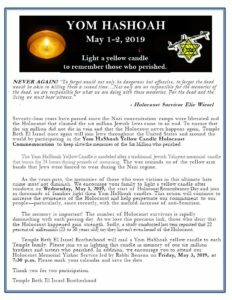 Click for printable version of Yom HaShoah flyer. • offer opportunities to study Jewish law and lore with its unique spiritual expression. The TBEI Religious School serves children from pre-kindergarten to tenth grade with volunteer opportunities open to youngsters after completion of confirmations. The curriculum, written cooperatively by the Rabbi, the Religious School Director, and the Youth Education Committee Chairperson, has been designed to engage students during their Religious School experience. Experiential instruction enhances traditional learning methodology. According to Talmud, the most valuable part of Torah study is not in the learning nor in the teaching but in the doing (Kiddushin 40b). Instructional personnel practice this principle through a wide range of activities from crafts for the younger grades to mitzvah outings and experiential opportunities for the upper grades. • express pride in being a vital and active member of the Jewish people. Please speak with Rabbi Benson about enrollment. Call the temple office at 772-336-2424 to schedule an appointment. Click the following for the downloadable and printable flyer, participant registration form, sponsorship information, and sponsorship form. Please read Marshall’s biography and letter to friends of Temple Beth El Israel. 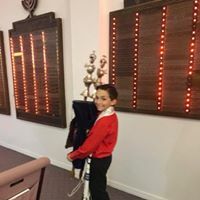 Temple Beth El Israel is located on Florida’s Treasure Coast in Port St. Lucie, Florida, a growing community of 185,000 full-time and seasonal residents. Port St. Lucie is about 100 miles southeast of Orlando and 50 miles directly north of the Palm Beaches. St. Lucie West, a planned community within the City of Port St. Lucie, is the site of the New York Mets spring training facility and home to the St. Lucie Mets. Local points of interest include the PGA Professionals Learning Center with accompanying golf courses. Additionally, there is an 8,300 square foot PGA Historical Center in the heart of the PGA Village. St. Lucie West is seven miles from the expansive Indian River and ten miles from the beautiful Atlantic Ocean beaches. Modern medical facilities, restaurants, movie theatres, post office, colleges and universities, and shopping are all conveniently located within the St. Lucie West community. Temple Beth El Israel functions as the house of worship and center for Jewish education for residents of the Treasure Coast. Established in the late 1940’s, the original Temple Beth El consisted of a small number of Jewish families with a commitment to establishing a regional reform congregation. 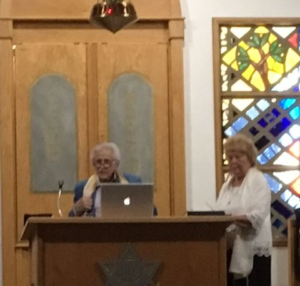 With the assistance of a retired rabbi, Temple Beth El was originally chartered in 1948. Some of the original members from Ft. Pierce and Stuart along with their extended families remain as active members. For several decades Temple Beth El served as the only synagogue located on the Treasure Coast. Membership included Jewish families from Ft. Pierce, Vero Beach, Stuart, and Okeechobee. The original synagogue facility was located in Ft. Pierce and was sold to St. Johns United Methodist Church in the late 1970’s. During the 1980’s, the membership of Temple Beth El constructed a new facility located on Oleander Avenue in an area known as White City (an unincorporated area adjacent to Ft. Pierce). Also during the decade of the 80s, Congregation Beth Israel was established within the City of Port St. Lucie. In the early 1990’s, negotiations began to unite Temple Beth El with Congregation Beth Israel; and Temple Beth El Israel was established. With the sale of two separate facilities, a new synagogue was built in St. Lucie West at 551 SW Bethany Drive. St. Lucie West is a modern community designed with residential, commercial, recreational, educational, and spiritual elements within a seven-square-mile area. The community boasts several first-rate golf courses and serves as the spring training site for the New York Mets. 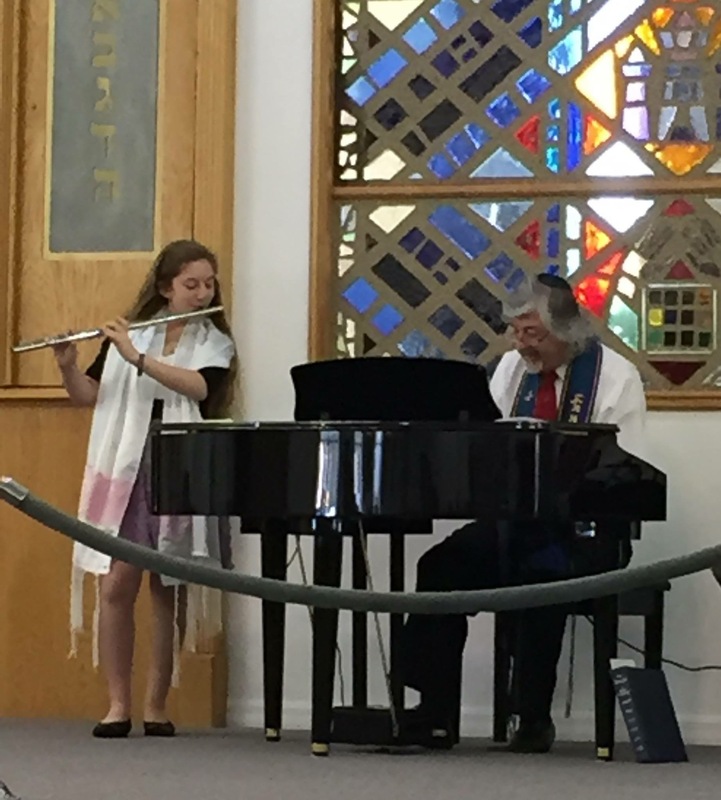 Strategically located between Interstate 95 and the Florida Turnpike, the location of Temple Beth El Israel is convenient for congregants and serves the growing Jewish community. The current facility for Temple Beth El Israel has a large sanctuary, a social hall, a commercial kitchen, and a religious school. Temple Beth El Israel has a rich heritage. From humble beginnings on North 23rd Street in Fort Pierce, the roots of the Temple have spread into one of the fastest-growing areas in the country. With a very limited Jewish population in the early 1940’s, a debt of gratitude is owed to the pioneering families with the necessary vision to establish the original synagogue. Today, Temple Beth El Israel is positioned to serve as a viable center for the spiritual, cultural, educational, and social elements associated with Judaism. 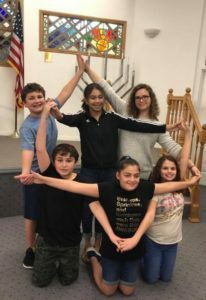 The Bar/Bat Mitzvah Program at Temple Beth El Israel is focused on students becoming comfortable, functioning, knowledgeable Jews within the Temple and the Jewish world. 3. 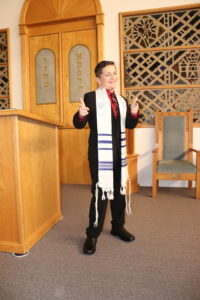 Becoming a “teacher” (through the B’nai Mitzvah speech). 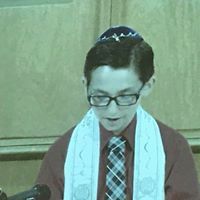 Rabbi Benson has created a program where each student helps create the structure and flow of the service including choices related to readings, music, and the Torah aliyot. This approach offers the student an opportunity to develop a customized presentation reflecting the student’s personality and unique abilities. 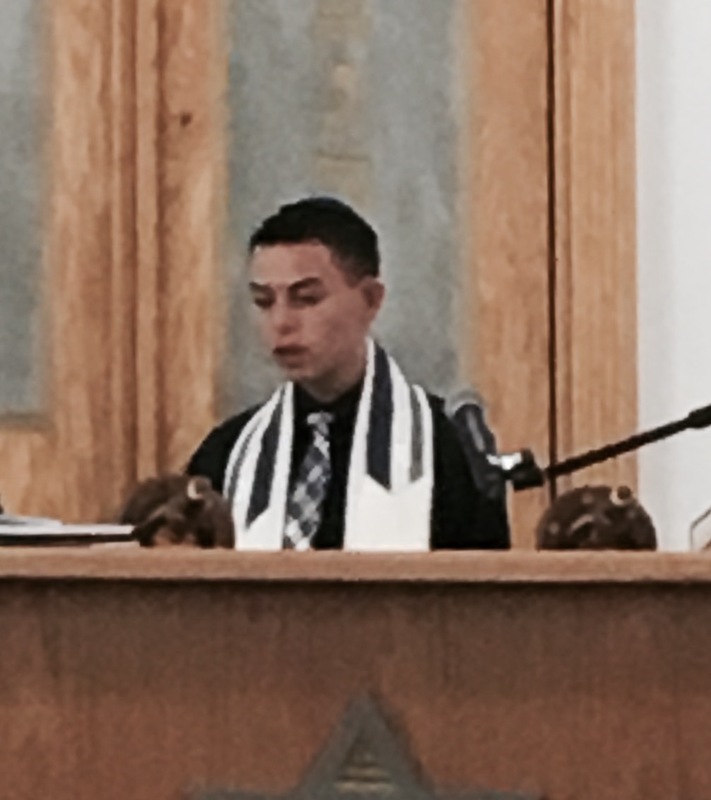 The student functions as the primary leader of the Shabbat morning service. 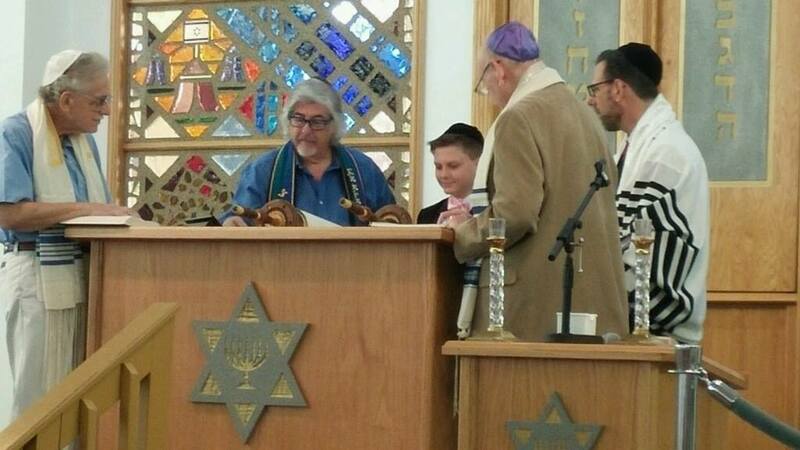 Each B’nai Mitzvah presents the service to the congregation in a meaningful way. With the assistance of the Rabbi and experienced tutors, the student practices and learns both the Torah and Haftara cantillation systems. The student chants each of these sections during the service. Specific study for Bar/Bat Mitzvah normally will begin seven-to-eight months prior to the anticipated date. 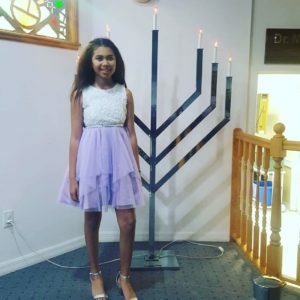 The program for B’nai Mitzvah preparation has established an excellent reputation and will continue to reflect the individuality and educational accomplishments of each student. 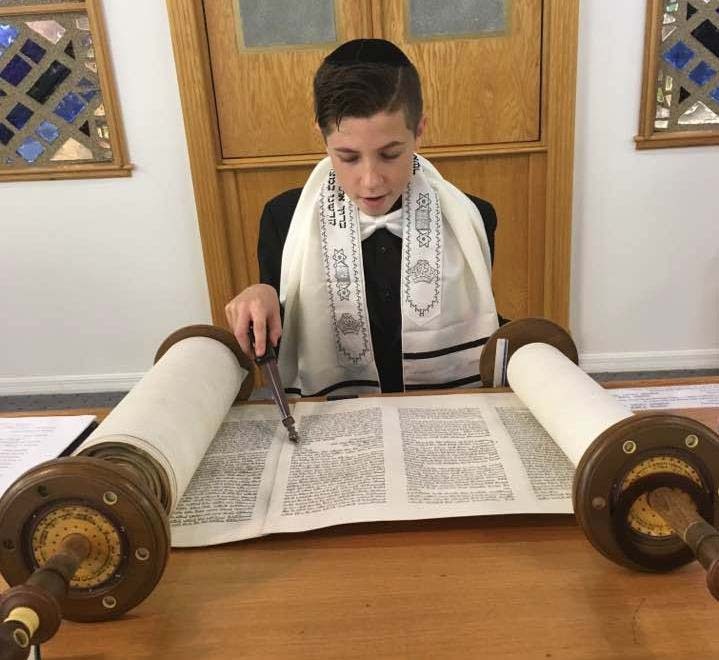 Please feel free to speak with Rabbi Benson for enrollment in an extraordinary, student-centered program designed to develop the necessary competencies and confidence for B’nai Mitzvah. Call the temple office at 772-336-2424 to schedule an appointment.